Science textbooks are still an issue here in Florida. Many school districts are working their way through the lengthy process of reviewing and adopting new science books for their classrooms. And there are still a few hot spots of controversy that we need to keep an eye on. Last night (May 8) the school board voted to adopt science books recommended by their various committees. 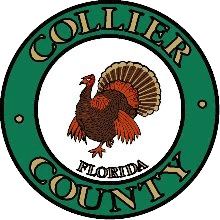 But as can be expected in good old Collier County, there are objections to evolution and climate change that the school district now has to deal with. My public comment tonight is directed at Chairman Roy Terry. You profess to be a Christian and have sworn an oath to protect the U.S. Constitution and the Florida Constitution and the laws of this state. Yet your voting record on Judeo-Christian values, [and] the state instructional materials laws that you’ve flouted are abysmal. Several years ago you were the swing vote voting three to two to keep sexually explicit material in our public schools in direct conflict with Florida Statute 847.012. Last year you voted again three to two to adopt social studies books that undermine and distort our U.S. Constitutional values. Before you vote to adopt these science textbooks tonight that completely ignore the concepts of creationism and that champion the indoctrination of controversial man-made warming: how are you again going to vote? We are a nation and a state the embraces In God We Trust. I offer a very short but sincere and heartfelt prayer on your behalf tonight, Mr. Terry. Dear God, I beseech you, please speak to your servant Roy Terry and help him understand that if he is truly committed to you as his savior that he needs to be true to your teachings. Amen. This is the new, main strategy being tested by the Florida Citizens’ Alliance and their supporters. As you will see shortly, they are trying their hardest to claim that the textbooks and even the selection process violate Florida statutes. I highly recommend that you read F.S. 1006.283 yourself. Next up was Michael Mogil, who says he’s a “certified consulting meteorologist” and that he’s been a meteorologist for about 50 years. He had examined 12 of the science textbooks that have information in them about meteorology and climate change and said that none of them are worthy of purchase. Some are meant for a college level course and that Collier County high school teachers would struggle to use them. He protested that some of the books claim that the current global temperature rise is the fastest warming ever on earth. “The books are downright awful,” he said. He had to be told a couple of times that his speaking time was up. He was followed by Sandy Doyle, who didn’t have much of substance to say as she spent most of her speaking time reading a long list of books she objects to. But she did bring up F.S. 1006.283, too. And the last speaker was Keith Flaugh. He stated that he will be submitting official objections to seven of the books, which he has until June 7 to do so. The school board then had some brief discussion about where the process goes from here after they vote to adopt the materials. If there are objections (and it’s obvious that there will be some), then the soonest the objection hearing can take place is June 18. Then after that the school has to vote again to move forward with the actual purchase of the books. On top of that, it was brought up that purchasing can’t happen until the state department of education finally gets around to releasing the official state list of approved materials. Will textbooks be purchased and sitting in classrooms when school is back in session in August? Stay tuned for more Collier County fireworks. It looks like the main Alliance strategies are to claim the books are not “accurate, objective, balanced and noninflammatory” in accordance with Florida statute. And if that doesn’t work, they’ll try the tactic of claiming the textbook selection process itself was not in compliance with Florida statute and school district policies. The Alliance already filed one lawsuit a while ago about textbooks. I predict another one will be coming. And I hate to break the news to you, but there is another county also facing objections to evolution in the textbooks. I’ll report on that when I get more information. It was interesting that most speakers targeting F.S. 1006.283 were vague, to put it mildly, in terms of the specific aspects of the law about which they were dissatisfied. They will have to do better than that if they expect this strategy to succeed. Mr Flaugh at least quoted a relevant section of the law; pity that all he did was display his ignorance of it. But, I was intrigued by his remark that “Florida statutes require that they teach balanced theory and not one way only”. Is this a rehash of his unhappiness that he is unfairly treated because of his religion? Surely there’s no legal requirement! Ted Bell – It seems Keith Flaugh’s legal skills match his grasp of science. I wonder if he asked anyone to hold his beer before he stepped in front of the camera.